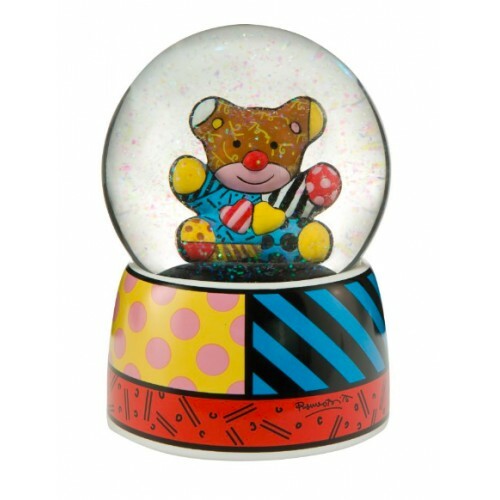 Romero Britto is a Brazilian Neo-pop artist, painter, serigrapher, and sculptor. He combines elements of cubism, pop art and graffiti painting in his work. He made his first exhibition in 14 years. In his youth, he visited many European countries. Based in Miami, he set up his studio in the neighborhood of Coconut Grove, where he exhibited his works in the streets. He burst onto the international scene in 1989, receiving the Absolut vodka ordering a bottle label for an advertising campaign. His style of cartoon funny then began to be in great demand by large companies, both murals, sculptures for the visual identity of products. Recently, it has for example worked for Disney and Evian. 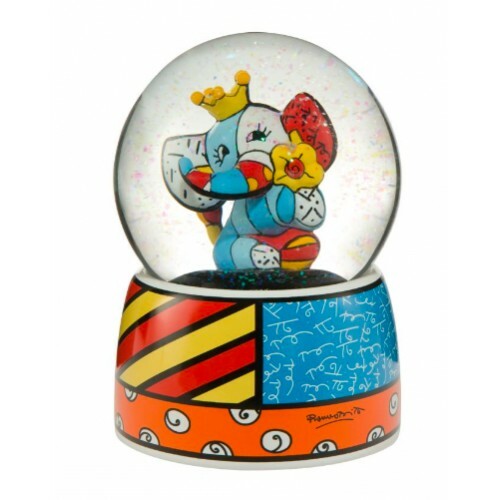 Britto was named Ambassador of the Arts for Florida. In 2007, he created a sculpture for the fortieth anniversary of the Montreux Jazz Festival and costumes for the forty-first Super Bowl. 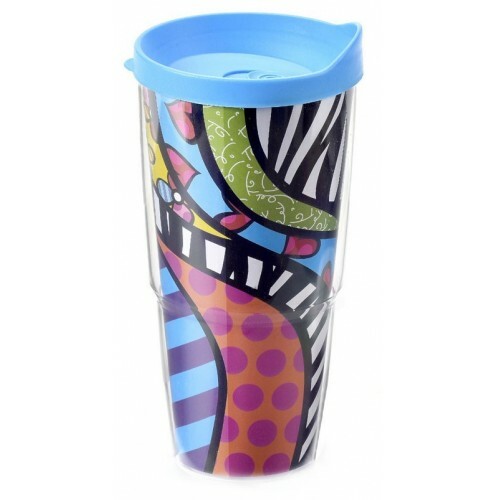 Wake up in the heart filled with good mood with this original mug thermos of Brazilian artist Romero Britto, colorful and original geometric shapes! Design Safari. 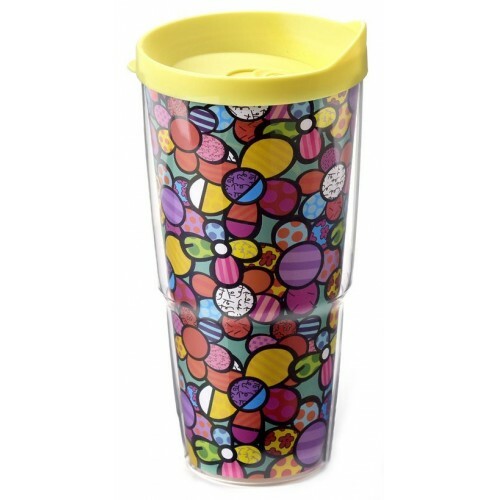 Wake up in the heart filled with good mood with this original mug thermos of Brazilian artist Romero Britto, colorful and original geometric shapes! 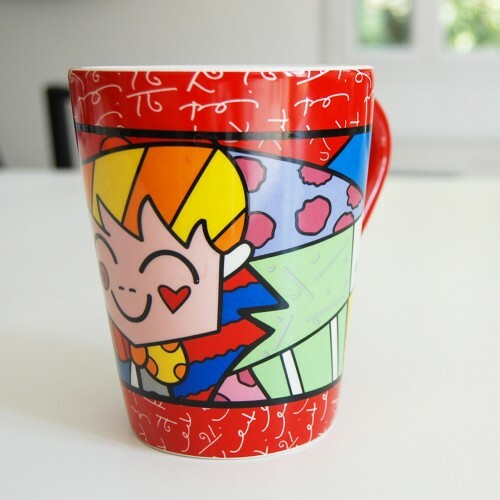 Wake up in the heart filled with good mood with this original mug thermos of Brazilian artist Romero Britto, colorful and original geometric shapes! Design Flowers. 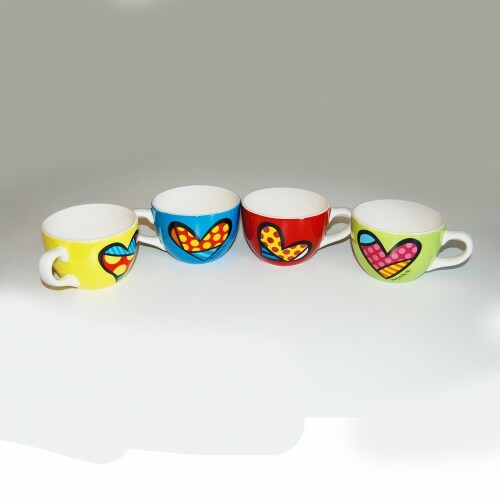 Wake up in the heart filled with good mood with this original ceramic mug design The Hug from Brazilian artist Romero Britto, colorful and original geometric shapes! Color yellow. 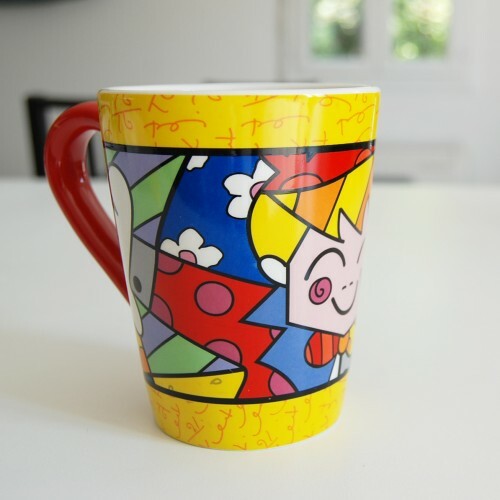 Wake up in the heart filled with good mood with this original ceramic mug design The Hug from Brazilian artist Romero Britto, colorful and original geometric shapes! Color red.